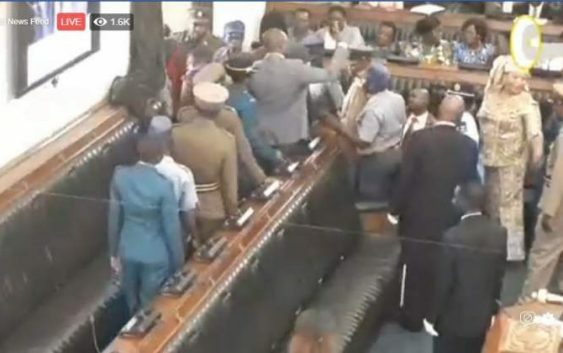 POLICE EJECT OPPOSITION MPS FOR refusing to stand up for President Emmerson Mnangagwa in parliament. Opposition MDC party spokesperson Jacob Mafume says two female members of parliament were injured and taken to a hospital. DAILY ROAD ACCIDENTS, FIRES AND TODAY MASVINGO PLANE CRASH- and cult worship , welcome to Zimbabwe!